As I am sure you have all heard, the NYC marathon is happening this year. And I will be there at the starting line on race day. This week has been quite the roller coaster of emotions for me. I have been stressed to the max, sad and depressed, and happy yet confused. That is a lot of emotions….! There is a lot of drama surrounding the race this year, revolving along the lines of, “should they?” / “shouldn’t they?”. And both sides have VERY good points (which I agree with). I have been consumed in this drama the past two days, but I will not be consumed with it any longer. As I said earlier, I am running this race. I am putting all of my hard work and early mornings out there on race morning, and I am determined to PR. This is what I want to focus on now. Since last February, I have been obsessing over race day. Planning every detail and being excited beyond belief. I will not let that excitement and spirit fade because of bullies out there with very vocal opinions. Us runners are not bad people, and I don’t think it is fair to view us that way. In fact many of us (myself included) have already donated to the relief efforts and plan to help out when we are in town for the race. Moving along. I was pulling together some fun facts the other day from my Daily Mile (we should be friends if we aren’t already!). It really showed my exactly what went into training, and made me even more comfortable with my goal to break 3:30. All positive thoughts are welcomed and accepted this weekend. As are all prayers for the victims of this terrible storm. One of my favorite photos from marathon training. 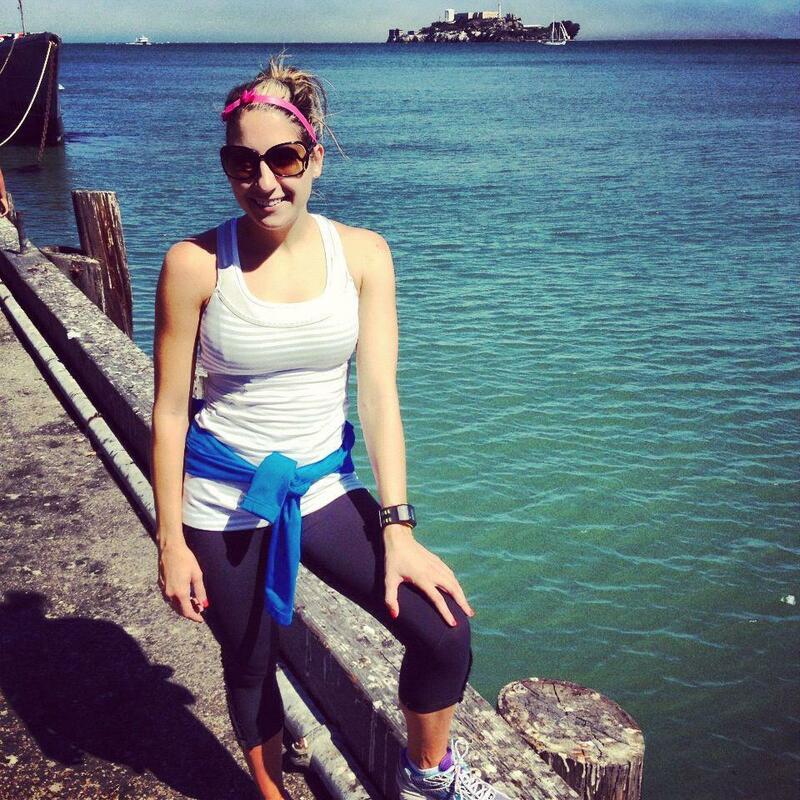 Running along the boardwalk in San Fransisco! Good luck running your marathon! I hope you enjoy it and I can’t wait to hear about it. YOU CAN DO IT!! I am so excited I can barely stand it, NYC is finally here! I have already told you a thousand and one times but you’re going to do such a great job, I can’t wait to hear every little detail. Go get it Alicat! You have all my positive thoughts! I am glad you are putting all the negativity away and focusing on what you have worked so hard for! GOOD LUCK!! Cheering for you and wishing I was there to meet you in person!